This decadent dessert is a favourite among restaurant go-ers at the Restaurant de L’Abbaye and I’m thrilled to be able to share the chef’s recipe with you today. Once you taste the rich and creamy texture of this mousse you’ll be surprised at how straightforward it is to make, and because it will keep for a few days in the fridge, I think it’s the perfect ‘wow-factor’ dessert to make in advance when you’re entertaining guests. There’s no oven time required for this chocolate mousse, which has the added advantage of allowing you to be creative with your presentation. There are the usual ramekins or decorative bowls, but you could also set the mousse in vintage crystal glasses or teacups for an afternoon tea with a twist. The most important thing to keep in mind with this dish is the darker the chocolate you use, the richer the finished product; so don’t overdose on a good thing by serving your guests enormous portions! Less is always more when it comes to indulgence. Break the chocolate into little pieces and place them into a stainless steel bowl. Place the bowl on a bain-marie, turn the heat to the lowest setting and leave the chocolate to melt slowly. In the meantime separate the egg whites and egg yolks. 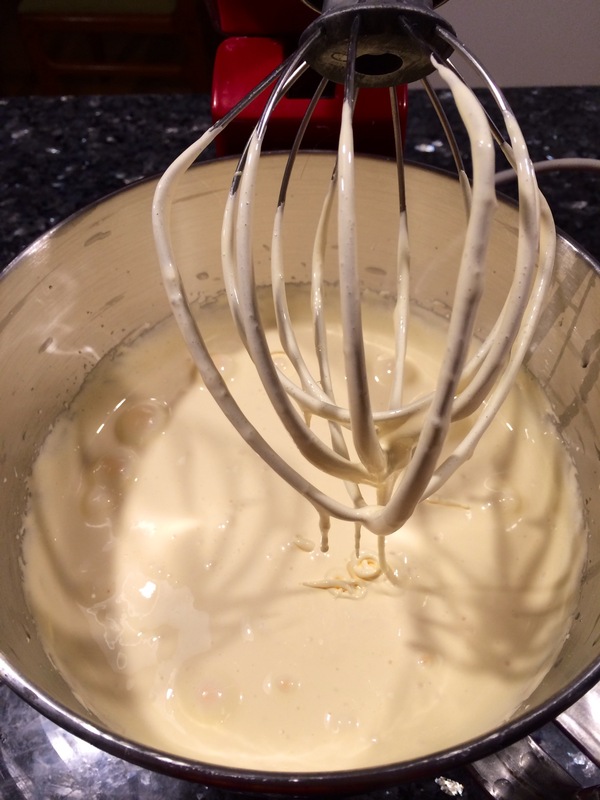 Place the yolks into an electric mixer bowl with the sugar and whisk at high speed until it becomes slightly white and fluffy or about double in size. Then pour the mixture in a large mixing bowl and keep aside. Combine the melted chocolate and the yolk mixture and slowly fold them together using a spatula. Then add about a ¼ of the whites at a time and gently mix them with chocolate mixture. Portion the chocolate mousse into individual little bowl and leave to set in the fridge for a few hours or overnight. Serve by itself or with some sable biscuit on the side!